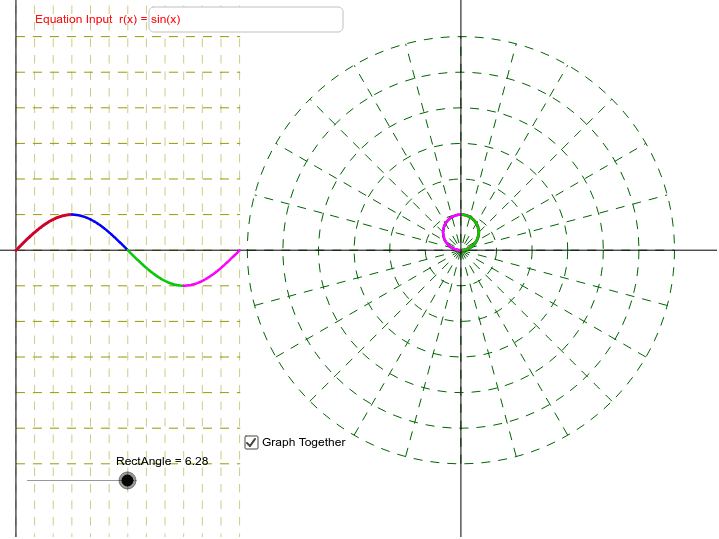 This script relates the graphing of Trig Functions on the "normal" rectangular coodrinate plane with the same function on the polar plane. Enter an equation, then move the slider to reveal the graphs. Horizontal spacing on the rectangular plane is pi/6. The curves are colored based on the quadrants of the unit circle (Red - QI, Blue - QII, Green - QIII, and Magenta - QIV).